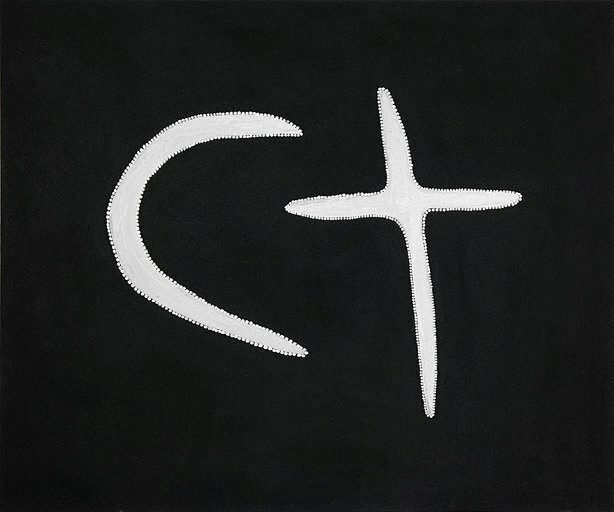 October 2017) considers the diversity of ancestors who inhabit and enliven country and the complex, ongoing attachments to country held by Aboriginal people. 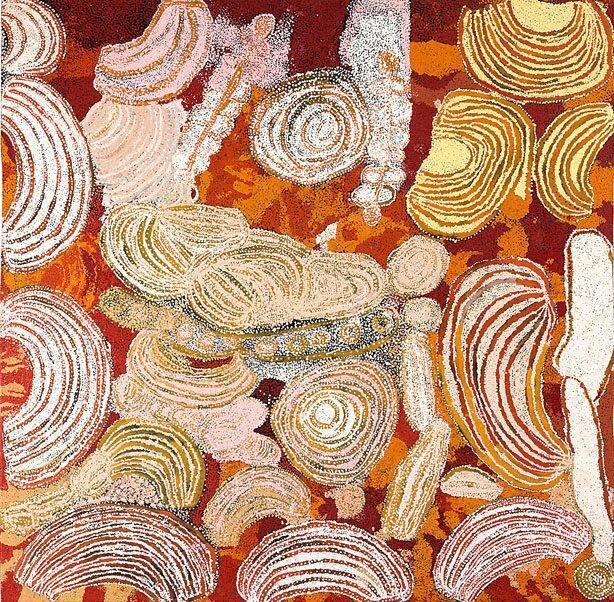 Pitjantjatjara artist Wingu Tingima has painted a story about seven sisters travelling and then dancing in her country. Name the colours, shapes and patterns that you can see. Describe the mood of this painting. Paint a portrait of your family or friends. Use colours that express your feelings. Draw people dancing and celebrating. Yorta Yorta artist Lin Onus has created a sculpture that reminds us that Aboriginal culture is all around us, in our own backyard. 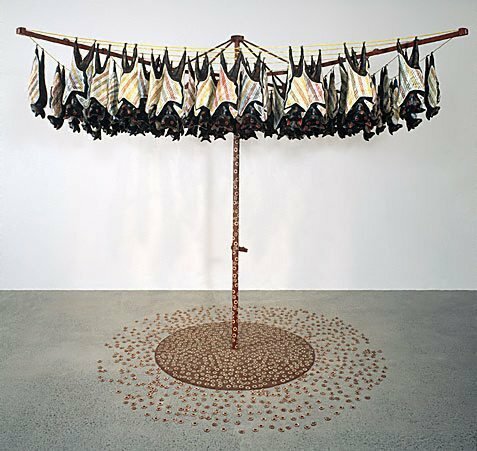 Look at the fruit bats and decide if they are all alike. Estimate their number. Find out about the Aboriginal or Torres Strait Islander country you live on. Draw your favourite Australian flying animal. Pintupi artist Bobby West Tjupurrula has painted designs to represent important sites in his country around Wilkinkarra (Lake Mackay). Notice the visual effects created by the lines as you look at this painting from different positions. Create a pattern that reaches to the edge of the page. Draw a map of your house, marking all of the places you can find water. 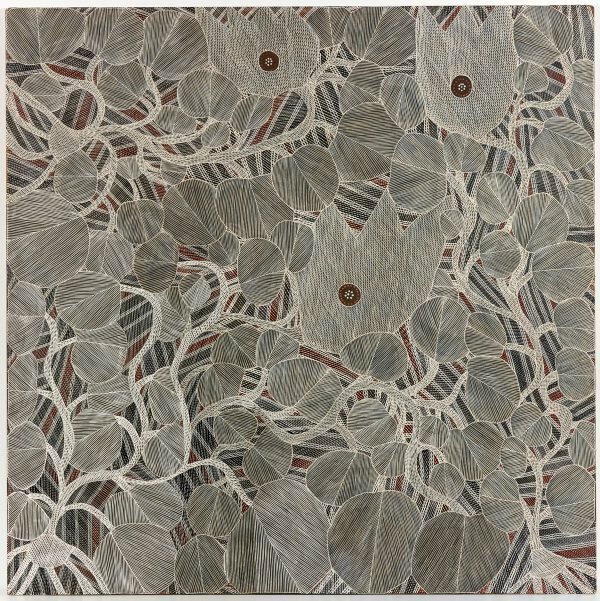 Kunwinjku artist Owen Yalndja has carved and painted a section of kurrajong tree to create a Yawkyawk. Describe the shapes and designs that suggest this Yawkyawk lives in the water. Draw an animal or plant you know that lives in a watery environment near you. Find out about the landscape at Maningrida in Owen Yalandja’s country. 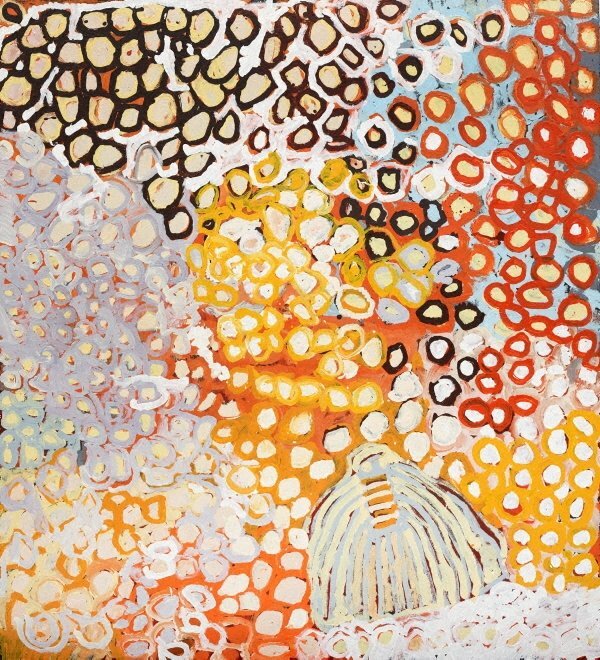 Pitjantjatjara artist Harry Tjutjuna has painted Wati Wanka (Spider Man) who is a powerful and clever man. Harry is a Ngankari, a traditional healer or doctor and this is his story, a kind of self-portrait. Find the spider and eggs. Draw another animal that is clever and powerful. Draw or build your own superhero who has healing abilities. Dhalwangu artist Malaluba Gumana has painted dhatam, the waterlily plant, in a billabong at Gangan in her homeland, where the sun is shining through the water. Find the waterlily stems, leaves and flowers and look at the fine brushstrokes Malaluba has used to create rarrk (crosshatching). Draw a close-up view of plants that live in water. Draw or photograph plants where you live. Notice the different effects of light. Gija artist Mabel Juli has told a love story from her country. The lovers were turned into the moon and a star and remain in the sky forever. Name the shapes you can see. Describe the texture of the painting’s surface. Draw a story about people who love each other. Make a painting of the night sky from your home.